Item Number: 810-6-20 12962 Actual Weight: 1 lb. 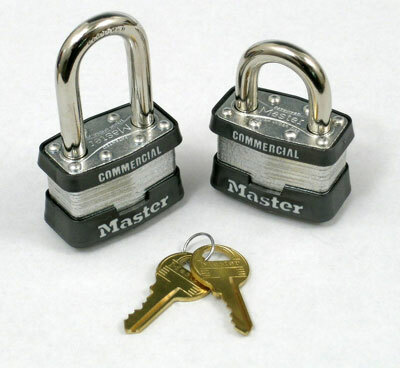 Ideal for anything needing locked security. Keyed alike and keyed different locks have 1-3/4" laminated steel body for extra strength. 4-pin cylinder helps deter picking. Strong and durable in all weather conditions. Shackle size is 5/16".